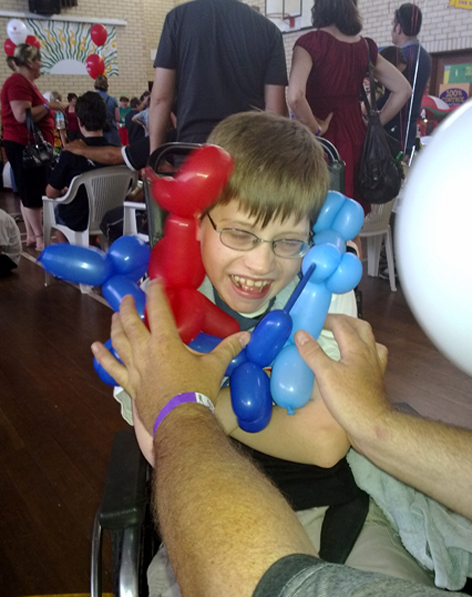 This weekend the children were treated to a Variety Club Christmas party. They certainly went to a lot of effort to ensure the children had a great time. There sure are some generous people amongst the Midwest Variety Club, all helping out, working together and volunteering their time to see that the kids had a fantastic day. It’s gals like these two… crazy… unruly… and lovely. They had a wicked bouncy castle – which had a slide inside it, and my boys spent a fair amount of their time bouncing around inside this, getting themselves all hot and sweaty. A great way to burn off all that fairy floss and yummy food they were serving. There were acts on during the day, craft tables and toys out, even a bubble machine. 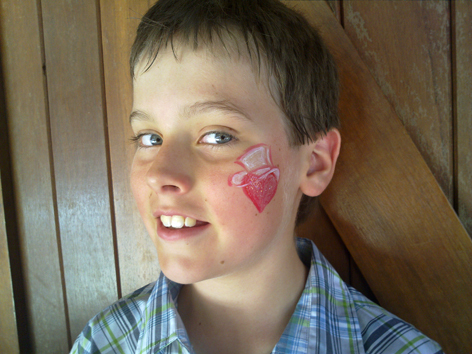 Child #4 asked for his face to be painted like the variety symbol, he said he’d be the “only one” like it, but when the ladies saw it they wanted it too. What a trend-setter. 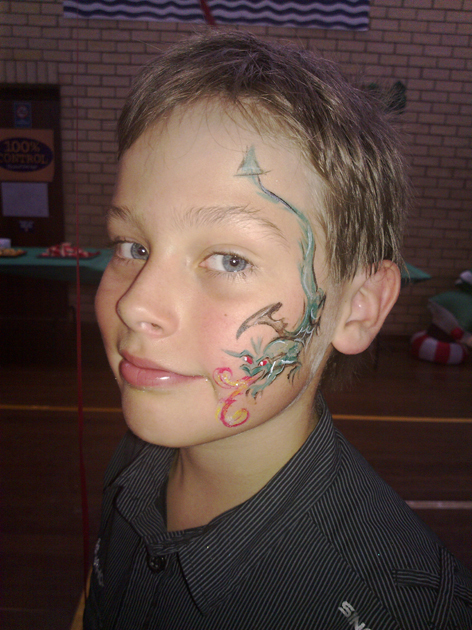 Child #3 however, went for the more traditional boys pic – a dragon. I have used my phone here to take pictures today, and up close it really distorts the faces… Weird. They loved the train ride outside… I didn’t get any pics of that, it was too hot to stand waiting in the sun. once for a flower. 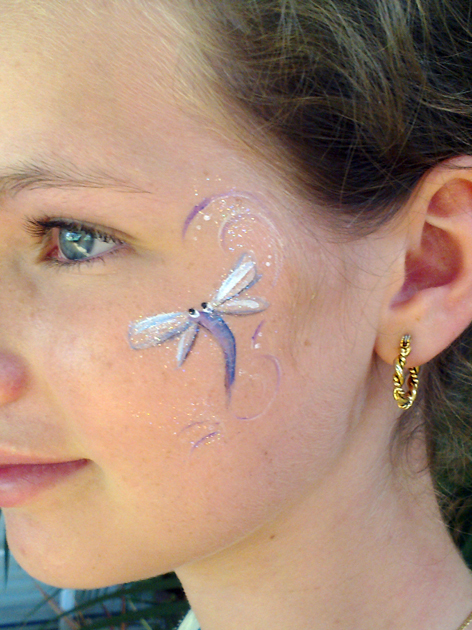 They look very pretty, but later in the afternoon she went to the park Christmas Show and there was another face-painting lady so she got “eyes” painted on her eyelids… Spooky! Josh was a good boy. 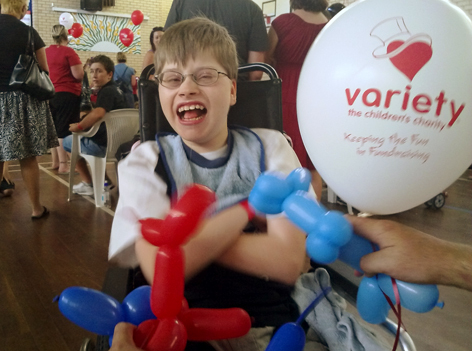 Potentially he was going to crack it big time, letting out a sook every once in a while, but he hung in there, loving the balloons and people talking to him. Some of his mates from school were there and lots of people who knew him/us. The King wasn’t sure if he’d handle our 4 by himself today, he was running on very little sleep, (seems my #1 child didn’t sleep on Friday night, keeping his Pa up for hours) Kranky Pants King was so touchy that every little noise the boys made was not tolerated – amazing what lack of sleep will do to one’s patience. and if you know my boys, you’d know they make lots of unnecessary noise. Father Christmas arrived laden with gifts for all the ‘special’ children and their siblings. Oh my, they were treated! Child #1 got a footie, one that can be sodden with water ( he’ll like that on his tray in the hot weather) Child #2 got a 500 piece difficult puzzle (it’s kept them entertained for hours) Child #3 got a wrestling figure (that he is loving), a bag of farts (gee thanks) and a finger skate board (nice and safe). Child #4 got a cricket set and we have spent the afteroon playing cricket, then after dark it progressed into “brandy”. “When I grow up, I want to be a variety person”. Now THAT”s a positive influence. Thank you Variety for a lovely day for my children. This entry was posted in Christmas, Family & Friends. Bookmark the permalink. Thanks for sharing this…..Variety Club do so much for the community and don’t get enough kudos…..looks like a great day was had by all! Glad you & your family had a great time!! What a wonderful bunch of kids and so well behaved – it was such a pleasure. The smiles we get back from the kids & their parents are why we love doing what we do with Variety. PS OMG get that photo off your blog – you dont know how hungover and poorly I felt – darn those christmas work shows ………. Awesome pictures Tan, they look like they had a great time. What a wonderful organisation Variety is. The cricket set was great, heaps of fun. Will have to play next weekend too. 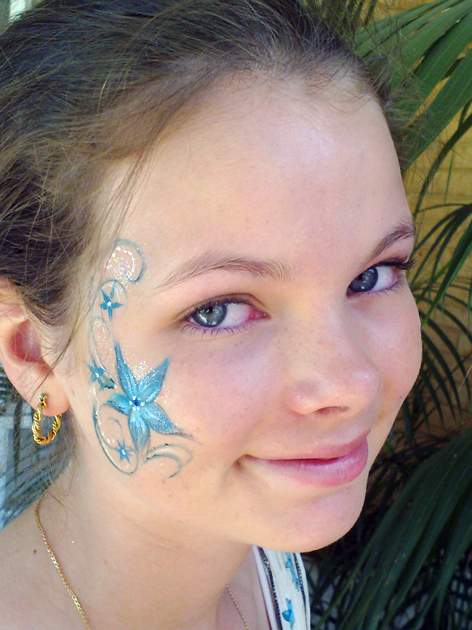 cool face painting, looks like you all hada great time, well done variety, a great support to the community.